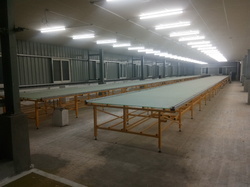 Providing you the best range of screen printing glass table flash dryer, screen printing table, textile screen printing glass top table dryer, glass top screen printing table with dryer, garment flat bed screen printing table with dryer and rexine top screen printing table with auto dryer with effective & timely delivery. We are the leading manufacturers of Customized Manufacturers of Screen Printing Tables as per the requirements. 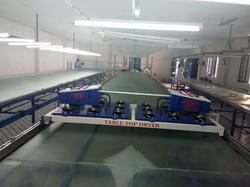 We are the Customized Manufacturer of Textile Screen Printing Glass Top Table with Dryer as per the requirement. Automatic Forward& Reverse, Spot Curing Positioning Sensor with a timer. Automatic Forward & Reverse, Spot Curing Positioning Sensor with the timer. Automatic Forward& Reverse, Spot Curing Positioning Sensor with the timer. 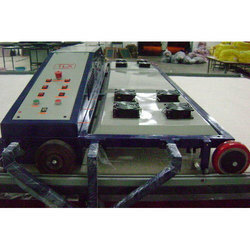 We are the Customized Manufacturer of Screen Printing Table with Dryer as per the requirements. Automatic Forward & Reverse, Spot Curing Positioning Sensor with a timer. 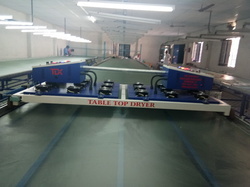 We are manufacturer of rexine top screen printing table with auto dryer.